Engelbert Humperdinck will perform live on May 6th , 2017 in Montreal Wilfrid-Pelletier Hall. 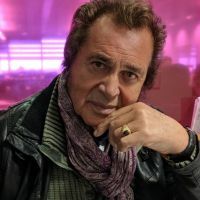 At the dawn of his 80th birthday, Engelbert Humperdinck is a true icon of pop music and continues to move the crowds wherever and whenever he is on stage. His first hit song Relase Me launched in 1967 will prevent the Beatles from reaching first place in the charts with their song Penny Lane/Strawberry fields Forever. The last time Engelbert Humperdinck performed around was back in April 2016 when he was performing at the Capitole de Québec.